Week 10: Connect an input to an output. 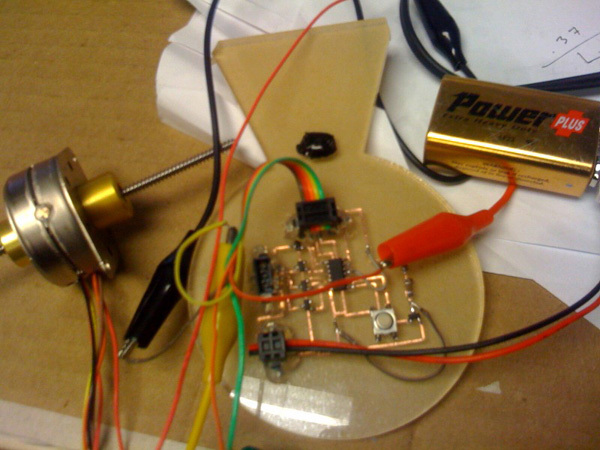 This week I added a button to a stepper motor to trigger the spinning. 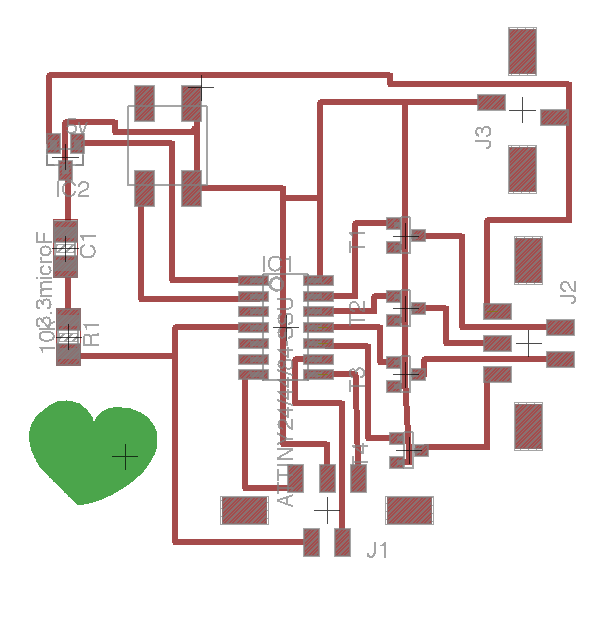 The circuit is based on Neil’s Hello Stepper board, but redone in eagle for the vinylcutter. The code for the button is also a modification of the Hello Stepper assembly code, and simply only allows the motor to step when the button is pressed. Vigyan Ashram in India has been cooking on solar for a while now!